AWH YEAH. Love me some Sarah Connor. She has to be the most badass chick in film, right? Cigarette in the mouth, loading up a M-16,and ready to kill some terminators. Revving up my engine as I blog this. 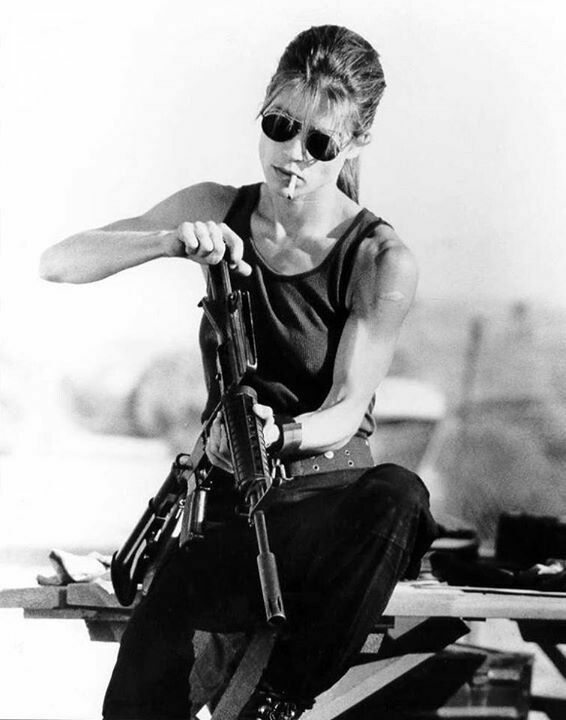 Michelle Rodriguez might be a close second, but you can’t beat Sarah Connor. No way, no how. Posted on November 7, 2013, in Average Blog Posts and tagged Arnold Schwarzenegger, hot, james cameron, sarah connor, terminator, terminator 2. Bookmark the permalink. Leave a comment.